Join a knowledgeable local tour guide who will guide you safely through downtown Denver's most important and relevant tourist sights including historic buildings, architectural masterpieces, professional sports stadiums, scores of public art installations, parks and outdoor venues. Tours go out daily. Groups are small, 8-12 people. Duration of tour is 3 hours and approximately 9 miles. TOWARDS THE END OF THE TOUR WE WILL STOP AT A TAP ROOM WHERE GUESTS CAN SAMPLE BEER FROM ACROSS THE COUNTRY AT A SLIGHT DISCOUNT. THIS STOP IS APPROXIMATELY 30 MINUTES IN LENGTH AND THEN WE HEAD BACK TO THE SHOP. GUESTS ARE RESPONSIBLE FOR THEIR OWN BEER TABS. Minors are welcome to join their parents on the patio and have a soda and snack! 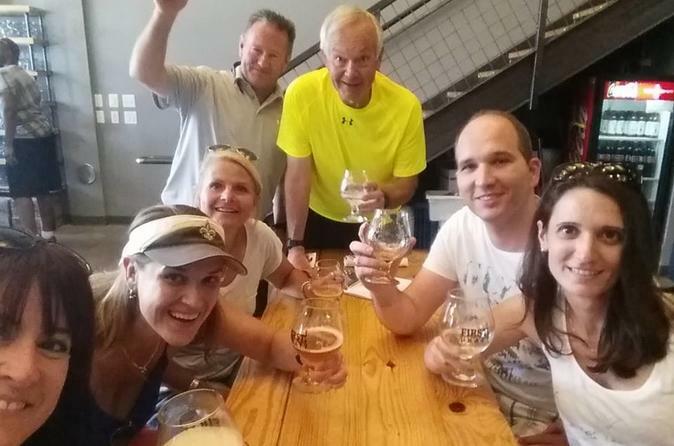 This is Mile High Bike Tour's signature downtown bicycle tour with a stop towards the end of the tour at a tap room for beer sampling. This tour encompasses all of Denver's best attractions and provides great sightseeing. We'll ride on bike lanes, riverside paths, and neighborhood streets to navigate our way around exciting downtown Denver. The distance is approximately 9 miles and the terrain is relatively flat. Get to know what there is to see and do in Denver while getting fresh air and exercise. We use 3 speed city cruisers with disc brakes. THE BEER STOP IS AT THE END OF THE TOUR AND GUESTS ARE RESPONSIBLE FOR THEIR OWN TABS.